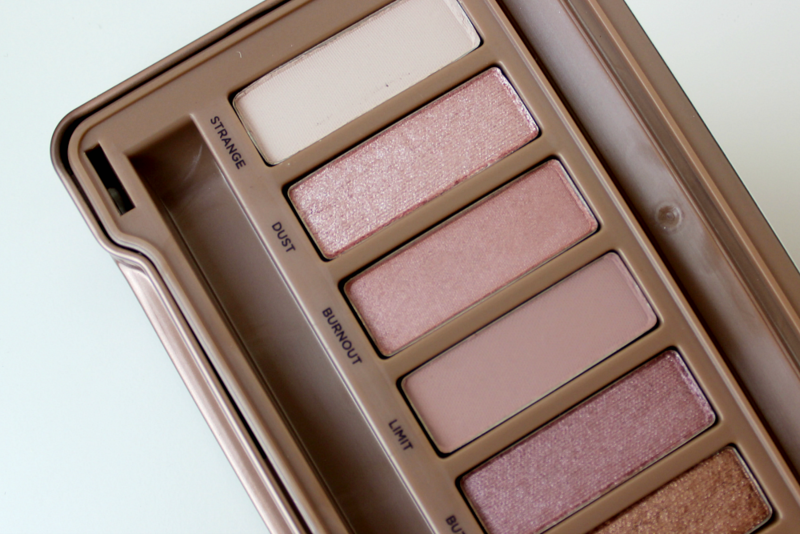 My post about this eyeshadow palette has been a very long time coming, let me tell you. I’ve been a fan of the W7 dupes since I purchased the Lightly Toasted from Amazon a couple of years ago and I felt quite happy with them to begin with, especially for about a £20 saving per item! As much as I loved them as dupes they’ve gotten a little battered thanks to two house moves and a curious feline in our home and the lid of one of them has even snapped off entirely – it was time to move on. Now we’re no longer scrimping and saving to pay for our wedding I’ve had some loose change burning holes in my pockets, and I’ve really felt the need to spend it on something special. 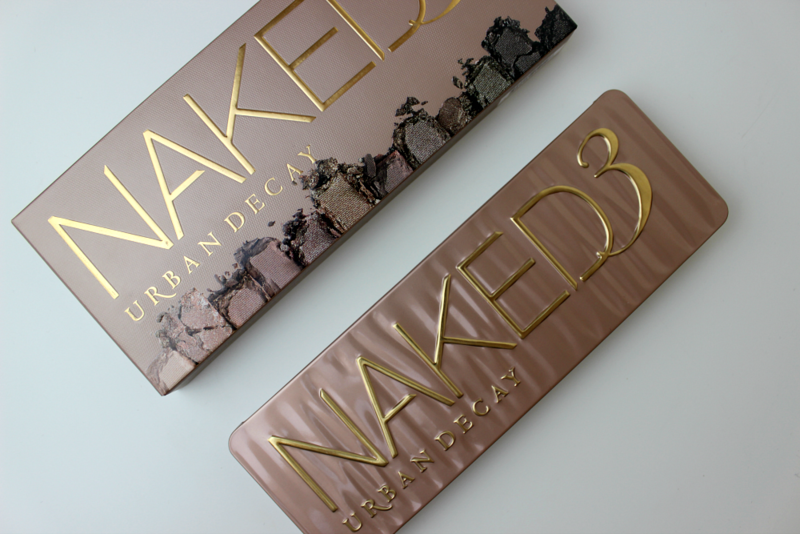 Although we’re no longer living locally to a big department store to go nosing around in I still found my way into a Debenhams in the summer and treated myself to this Urban Decay Naked 3 eyeshadow palette – way before my husband surprised me with the Heat Palette that I’ve already raved about a couple of months ago. It took me a little while to choose the right palette for me, do I go with the Naked 1 to start from the beginning or do I go for something different like the Smoky? This wasn’t my first Urban Decay buy because I’ve had the Spectrum in my vanity for atleast a year (review pending – I’m such a crappy blogger sometimes, lols) and it’s great for bright colours and strong looks but I really wanted to feel the benefits of one the Naked collection because I felt like I’d been suffering from some serious missing out in the beauty world. I went along to a makeup masterclass last year and one of the tips the artist gave us at the time was all about choosing a colour palette the wear on a daily basis that suits our undertones. After the lady had been round to every one of us and carefully assessed us under her lights she pointed out to me that I had warm undertones, so pinks and oranges would often suit me – a nugget of information that’s somehow stuck with me since. So, every time I go sniffing about for a new palette or makeup buy I always think about pinks to wear on my face. Luckily, the Naked 3 fits right in the bracket of a makeup product that will immediately look great on my face so I felt like I had to invest in it once and for all. 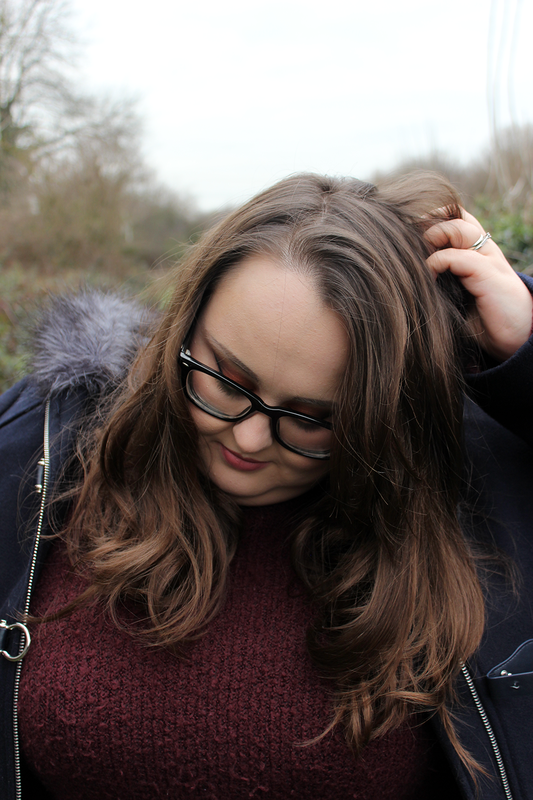 Up to the kiosk I went with my Debenhams Beauty Club card and pretty soon I was bouncing around the shopping centre and snap-chatting away my new shiny to all of my beauty-brained besties. I’m such a show off. To give you some background, this palette sticks to the tried and tested formula of Urban Decay’s most successful eyeshadow collections with a mix of matte and shimmer shades. The brighter shades begin on the left with the darker and ‘smoky’ ones on the right, giving a spectrum of pink-hued eyeshadows to play with. I didn’t need to swatch any of these shades to know I was going to love most of them, pinks and browns are right up my street. I knew that I could create some stunning every day styles without needing to look up the many tutorials available online as I’d already scrolled through most of them, I’m not joking when I say that I was excited to get my hands on this. I must’ve left the palette in it’s packet for a few days because I wanted to take a photo of the untouched pans, and each time I opened up my vanity drawers to apply my makeup in the mornings I felt that desperate need to dip a brush in and have a play around. On use I was immediately smitten. This has been my go-to everyday palette for easy combos most days and it really has it’s highlights. I’ve even discovered that the shimmer shades such as dust work better when applied with a wet brush and they really stick around too. I tend to use trick the most in the middle of my lid with the lightest shades blending on my brow bone, and every shade really does blend beautifully from this palette when given the time and patience required – as well as a clean brush! As for the formula of these eyeshadows, they completely stick around and they’re longer wearing still when applied over an eyelid primer. I don’t find that these settle into the crease of my eyelid at all and I’m far more impressed with these eyeshadows than those in the Too Faced Sweet Peach Palette I took a chance on more recently. There’s practically no fall-out, winner! It feels really good to buy an makeup product and find out for myself that it stands up to the glowing reviews it gets. When people hark on about this as a makeup collection staple they’re being completely serious and I can’t help but agree – it only took me several months to broadcast my own positives. If you’re on the hunt for a new eyeshadow palette to add to your stash, have yourself a scroll through what Debenhams have on offer here. 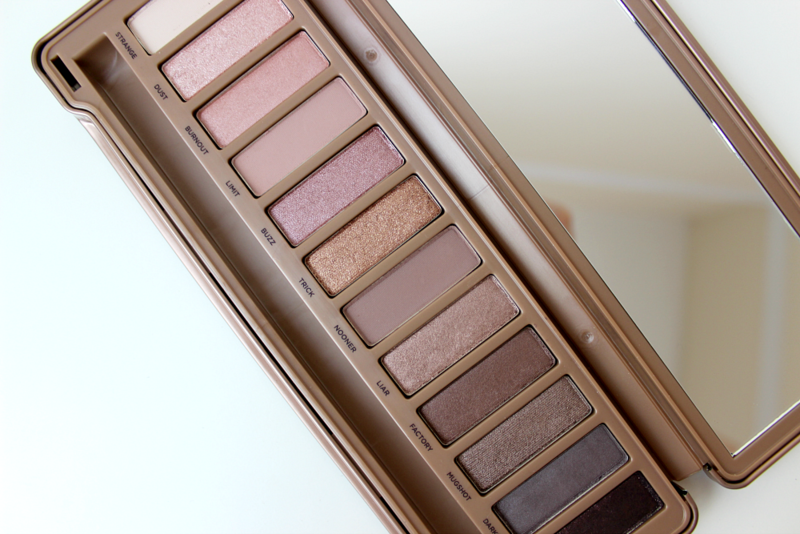 My pick has to be the Urban Decay Naked Basics palette that currently has 50% off! 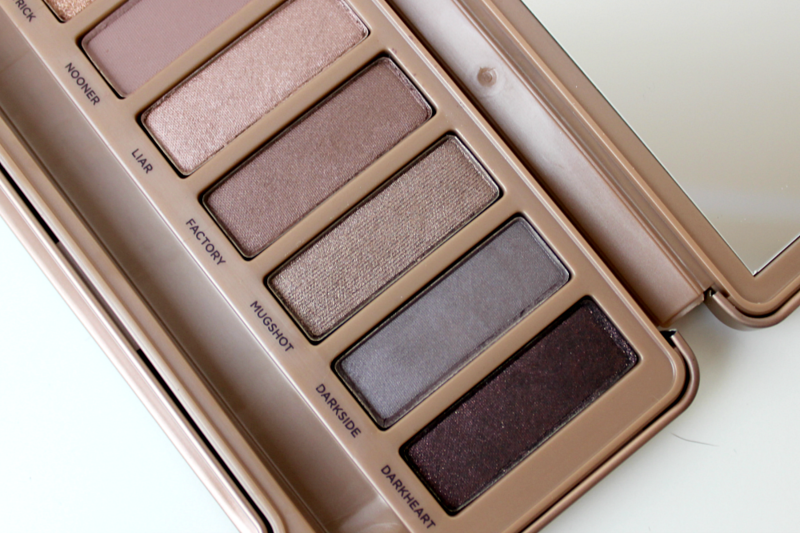 Do you have this palette in your collection? What do you think of it and what’s your favourite shade? Let me know in the comments.